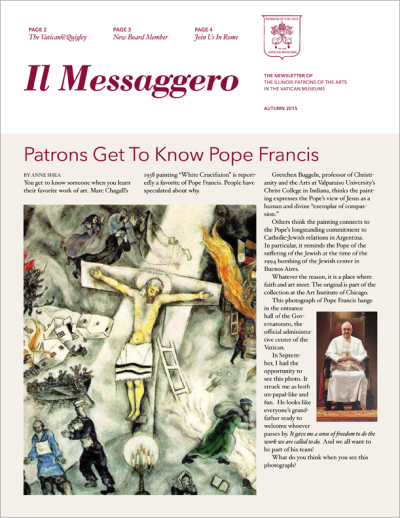 “Il Messaggero” is the semi-annual newsletter published by the Illinois Chapter. Our newsletters keep members informed about chapter news, recent and future social events, and information about the restorations we are sponsoring. Currently, newsletters are sent to current members via email. If you would like us to add you to our mailing list for future copies of our newsletter, please email your request to illinoispatrons@gmail.com.